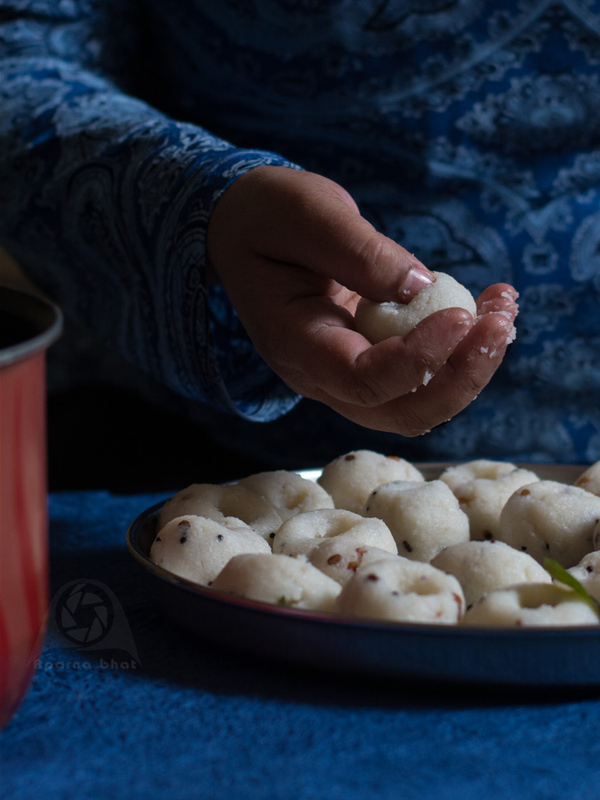 Undi/Oondi is a popular breakfast among konkani people. These are seasoned rice dumplings that are steamed before consumption. Ideally it is prepared from rice which is soaked drained and later dried. Once dried it is ground with coconut and the mixture given a tadka with mustard seeds, fenugreek seeds, etc and then steamed. 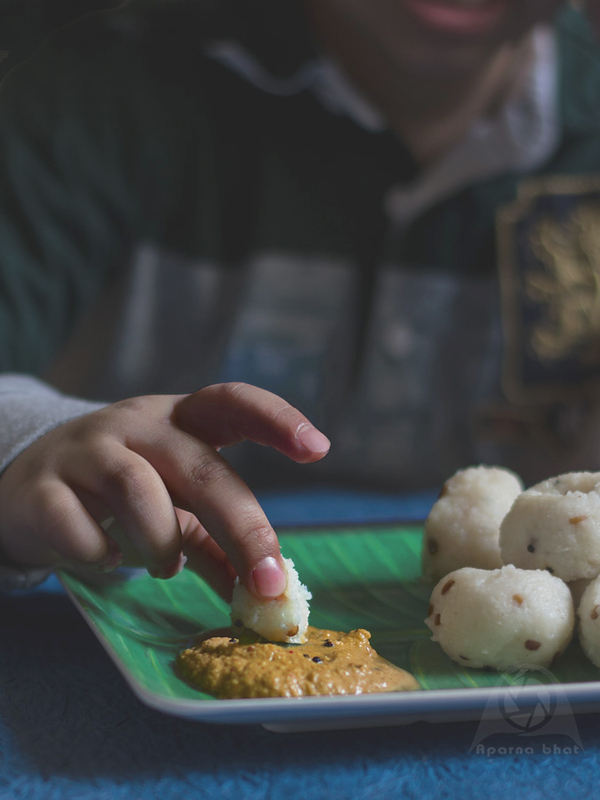 But for me the forgetful lazy person I am [always forget to soak the rice in time before the preparation], I use idli rawa [rice rawa] to make them. Soak one cup of rice/ idli rawa for 30 minutes. Next coarsely grind 1 cup of grated coconut with half cup of water and keep it aside. In a pan, heat oil add mustard seeds, when it splutters add urad dal, methi seeds and roast it till it turns light brown. Add curry leaves, broken red chilies and saute it for few seconds. Add 4 cups of water, salt to taste and allow it boil. 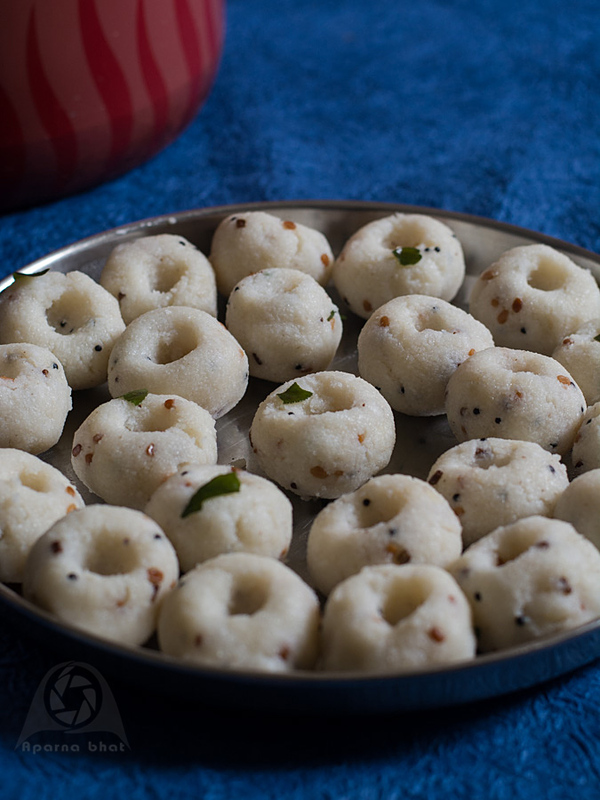 As the water starts boiling gradually add the coarsely ground coconut and drained idli rawa stirring it continuously. Stir it till the water gets evaporated and the mixture leaves the sides of the pan. Switch off the gas. Allow the mixture to cool a little bit. Once the mixture cools enough to get handled, grease your hands with a drop of oil. Take spoonful of this mixture and make round balls and make indentation in each with your thumb as seen in the pic below. The rolled balls are now ready to go in steamer. Keep these balls in steamer/ pedavan or pressure cooker without whistle for 10 -12 minutes. 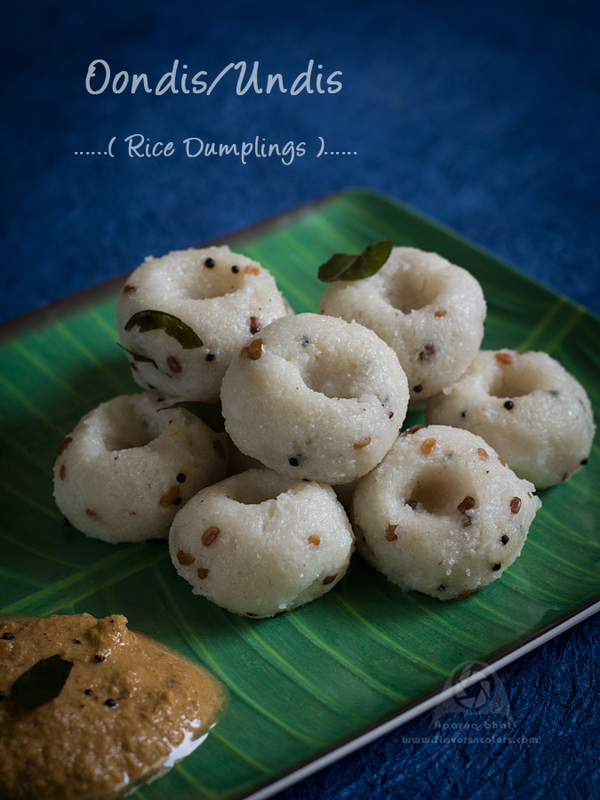 Serve them hot with chutney, pickle or any accompaniment of your choice. You can even enjoy them with a dash of coconut oil on top.